Let's Talk About It! – Why did the NYPD spy on Muslims? Why did 3 children die in Chardon? Why don’t we talk about Black Immigrants in America? 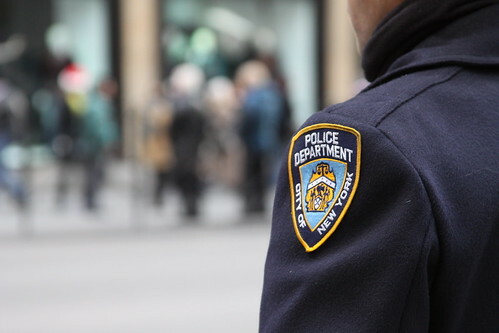 Why did the NYPD spy on Muslims? Why did 3 children die in Chardon? Why don’t we talk about Black Immigrants in America? You can call this the “WHY?” show. First up, we talk with two people with different opinions on why the NYPD would spy on Muslims living across more than three states and studying in over a dozen universities. Was this really to keep Americans safe or was it yet another example of the big brother state? Is this really right? Who else is the NYPD spying on? Let’s see if Cyrus McGoldrick (Council on American Islamic Relations-NY and Hip Hop artist) and Joe Kaufman (candidate for Congress and director of Americans Against Hate) can shed some light on this issue. This Monday, America witnessed yet another school shooting in small town America. This time it was on the outskirts of Cleveland. What causes a young person to kill his classmates? Is it really the bullying? Is it abuse? Are some kids just bad seeds? Join us as we talk with child violence expert Amanda B. Nickerson, Ph.D (Dr. Jean M. Alberti Center for the Prevention of Bullying Abuse and School Violence). People talk about the Black community and the Immigrant Community as if they are mutually exclusive (and in conflict). But the fact is, the number of immigrants that make up the African-American community is growing. Historically, Black Immigrants have always played a pivotal role in the African American experience. Join us as we talk with Gerald Lenoir (Black Alliance for Just Immigration) about one of the least talked about issues in America today. You know what to do! Tune in…Call in…Let’s Talk About It!